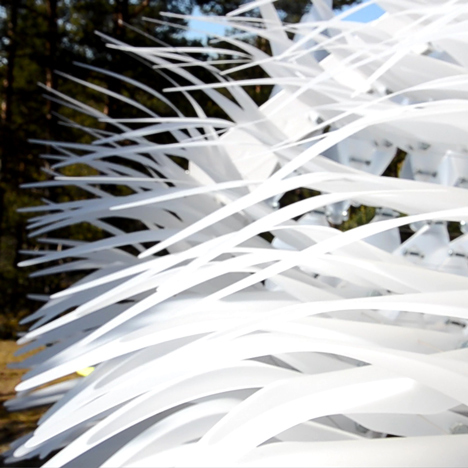 London studio NEON has built a construction with shingles that “shiver” and adapt in response to changing weather as portion of a exhibition in Finland (+ movie). 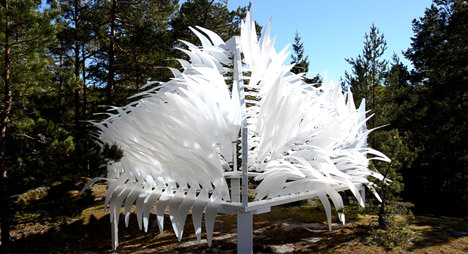 The Shiver Property was developed for this summer’s Barfotastigen exhibition – an annual outside exhibition focusing on environmental and website-certain art that is taking area in Korppoo, in the Turku archipelago of southern Finland. “The task was initially inspired by the graduated and cohesive motion that you get in underwater landscapes,” explained NEON director Mark Nixon. Based mostly on wooden Finnish huts, locally identified as Mokki, the skeleton of Shiver Home is a basic four-sided timber frame. 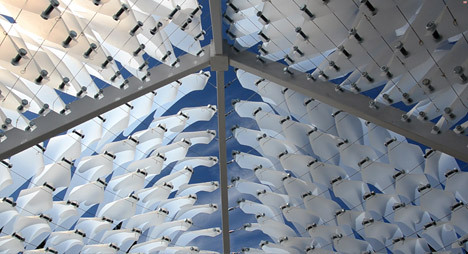 Approximately 600 counter-weighted shingles produced from folded polypropylene sheets are mounted on rows of tensioned steel wire, forming the outer-shell of the construction. 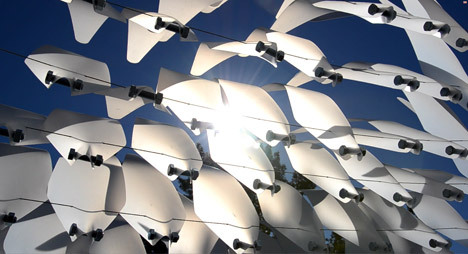 “The real shingle component was produced as an final result of an interest in kinetic sculpture, which usually employs counter-weighting on more substantial types to create motion without electrical electrical power,” mentioned Nixon. When the climate is still, the plastic shingles lie flat and enable a view of the surrounding landscape. Wind, rain and snow cause the shingles to flick up and rotate into a closed place, making a protective skin of more than the framework so it can perform as a shelter. “The nut and bolt counterweight leads to the shingle to have an virtually weightless quality as properly as generating it rest in precisely the identical place every single time there are no forces acting upon it,” he explained. 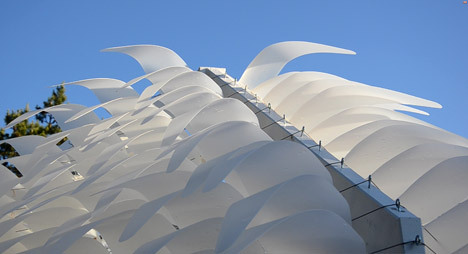 “The shingle’s form tends to make it conducive to catching the wind, which leads to it to rotate, closing up the form,” he continued. NEON was established by Nixon and spouse George King in 2012. 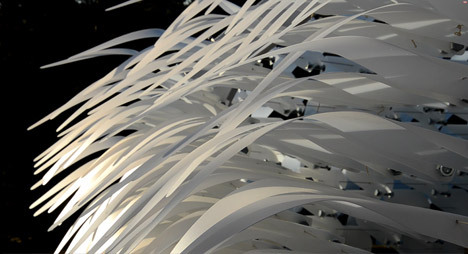 The installation is portion of the studio’s ongoing study into how architecture can develop a closer emotional hyperlink amongst its inhabitants and the natural planet. 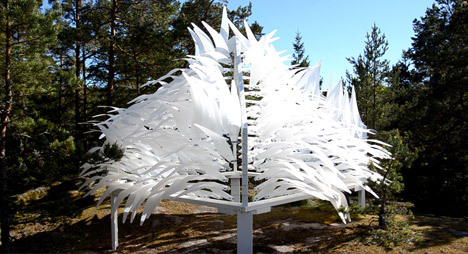 It will continue to be in location for the duration of the Barfotastigen festival, which continues right up until 30 September 2015. 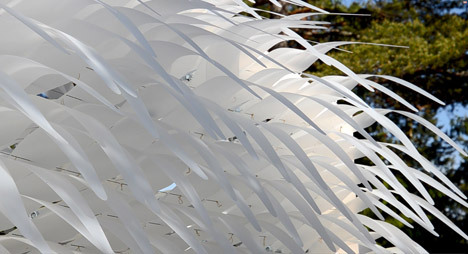 German architects Frank Barkow and Regine Leibinger also experimented with the concept of moving architecture for the 2014 Venice Architecture Biennale, generating a shape-shifting that appeared to breathe in and out.